Name a Cole Porter musical where the story pivots on a woman’s sore bottom. 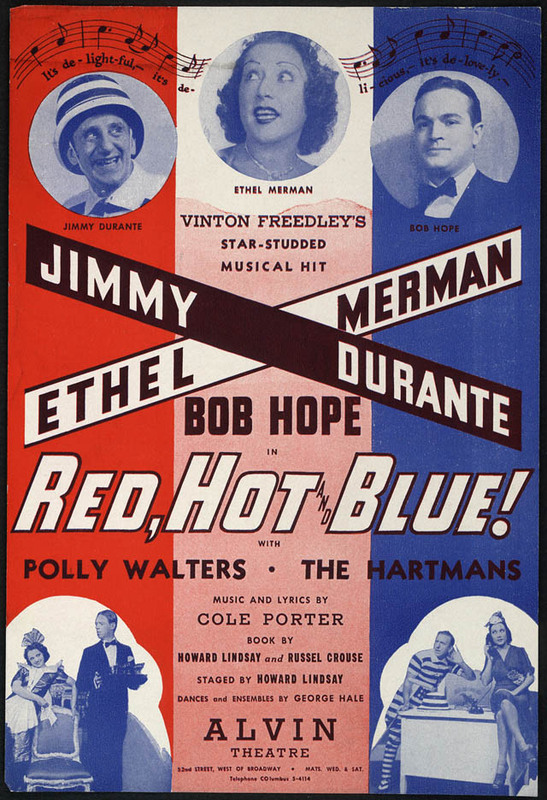 Twelve years before the onstage public spanking of Lilli Vanessi, Cole Porter’s Red, Hot and Blue dealt with Bob Hale’s quest to find the childhood sweetheart he lost when, in a bout of juvenile boisterousness, he accidentally caused her to sit on a red-hot waffle iron. He’s aided in the venture by ‘Nails’ Duquesne, once a manicurist and now a wealthy widow who wants to use her millions for philanthropic purposes, and who puts up the money to fund a nationwide search for the girl with the branded bottom. The show began with tryouts at the Colonial Theatre, Boston, from October 7, 1936, and at the Shubert Theatre, New Haven, from October 19. 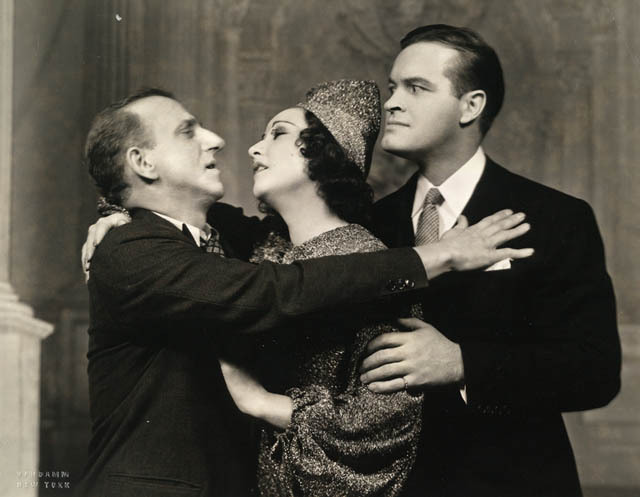 It then opened on October 29 at the Alvin Theatre, New York, where it ran for 183 performances, closing on April 10, 1937, followed by a three-week run in Chicago. This was only a modest success (for comparison, Kiss Me Kate’s run was 1077 performances), and the reason for this had much to do with the thin, sometimes illogical story. To take an obvious example, if there’s a huge reward out for whoever finds the sought-after sweetheart with the toasted buns, why doesn’t the girl simply come forward herself? And how’s any gentleman supposed to find her when the only clue to her identity or appearance is that her bare bottom resembles a waffle? Well, there is one way a gentleman can get close to a young woman’s behind without compromising his gentlemanliness. It helps if she’s wearing the kind of uniform that stage maids are often wont to do. 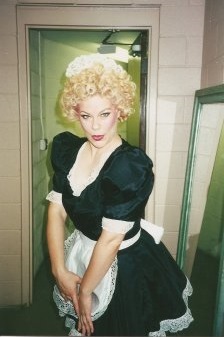 Here, for example, is Lori Macdonald playing Peaches in the summer 2000 revival at the Croswell Opera House in Adrian, Michigan. Nice as that is, we must end with a caveat. The version of the musical that’s now usually produced – when it’s produced at all – has a revised book by Michael Leeds which was prepared a few months after the Croswell Opera House production. I’ve never seen it, but since Leeds’ stated intention was to expunge everything deemed to be dated, we can’t rule out the regrettable possibility that, in the 21st century, Peaches’ identity may now be discovered by some other means. Fantastic stuff! Just discovered this site. Keep it up! A lot of surprises here. Thanks for the information. I’d never even heard of this musical. I guess it wasn’t up to par with Porter’s better works.